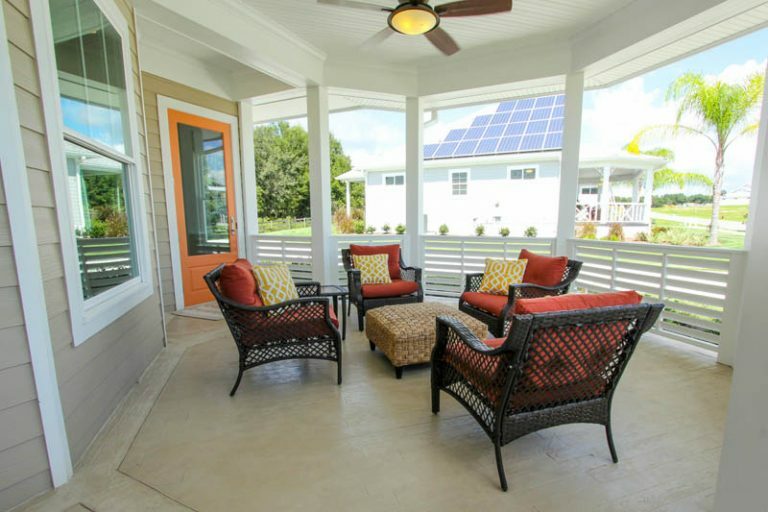 Green Key Village homes are designed and built using passive solar design principles making the most of natural daylight and filling your home with inviting sunshine. Built airtight, Green Key Village homes incorporate energy efficient fresh air systems. Our advanced ventilation system removes the stale air from your home replacing it with fresh, filtered and conditioned clean air – free of outside pollutants and allergens, keeping you and your family healthy. Green Key Village homes feature a spray foam insulated roof deck and exterior walls resulting in a home that is less susceptible to outside noise. 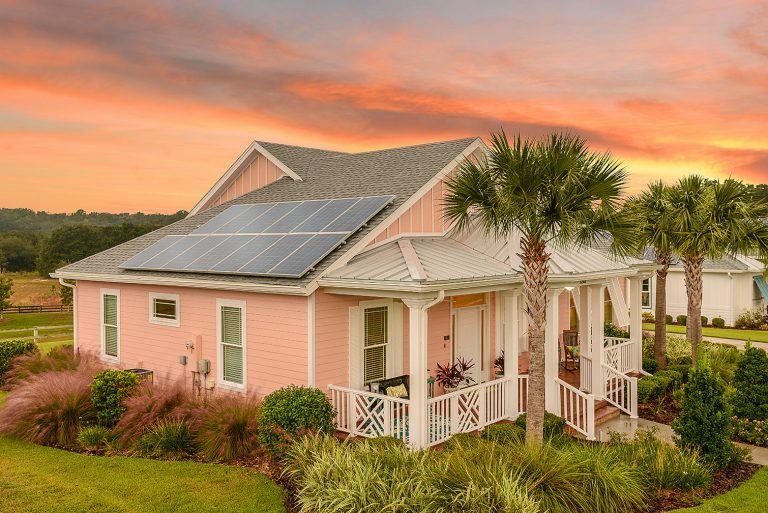 Green Key Village homes are Florida Water Star certified and equipped with plumbing fixtures and an irrigation system that saves water and energy in your home. Due to its durable, airtight construction and fresh air system, Green Key Village homes are low maintenance and easy to keep clean. No moisture means no mold or water damage. Fresh, filtered air means less dust and easier cleaning. With a Green Key Village home, you can feel good knowing that you are leading the way to a better future for your family and our world. Be on the cutting-edge of home design, technology, energy efficiency, and sustainability. New homes are always a good investment – especially a net-zero energy home. You may experience higher up-front costs but like the strong investment this is, you’ll find that long-term home maintenance and overall ownership costs are significantly reduced. In today’s economy with low interest rates and high energy prices, investing in a Green Key Village home just makes sense. 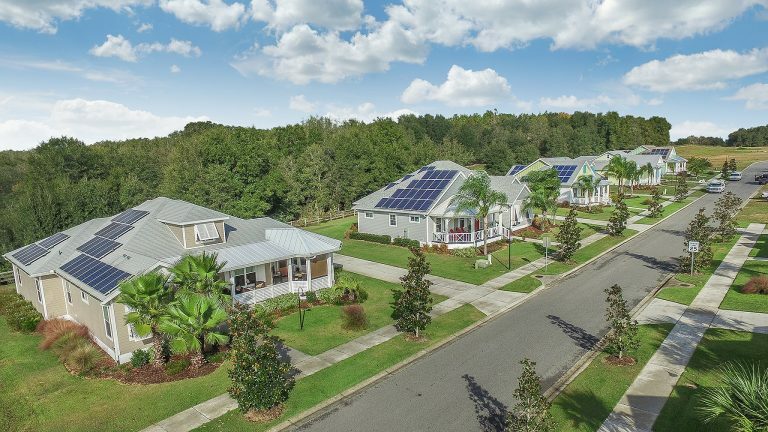 To ensure that each Green Key Village home meets the highest standard of performance our homes are individually tested and certified by Energy Star, Florida Water Star, and the Florida Green Building Coalition. Each home in our community places near zero or below zero on the HERS Index, meaning it is one of the best energy performing homes in the nation. This rating allows homeowners to live a healthier, more natural lifestyle while adding measurable value to their home.